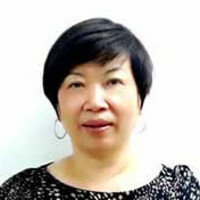 Ms Angie Tang is the Chief Executive Officer and Director of Franklin Offshore Holdings Pte Ltd and its subsidiaries, a Group which specialises in the provision of rigging and mooring equipment and services. With about 40 years of experience in the offshore and marine industry, she has been instrumental in building up the Franklin Offshore business from its inception in 1985 as a single Singapore-based company to the global Group it is today. Angie is well regarded in the business community and is the First Vice President of the Enterprise 50 Association.